Boehringer Ingelheim (Canada) Ltd. (BI) and IBM Canada are partnering to make clinical trials safer and more efficient through the use of blockchain. In a Canadian first, blockchain technology will be used in parallel with traditional techniques to log and track patients’ journeys throughout a pilot project beginning this month. The system will provide a single source of truth that is always up-to-date, and grants each stakeholder (patients, clinical sites, pharmaceutical sponsors, regulatory inspectors, and others) access to only the information they are allowed to see, protecting patient privacy. 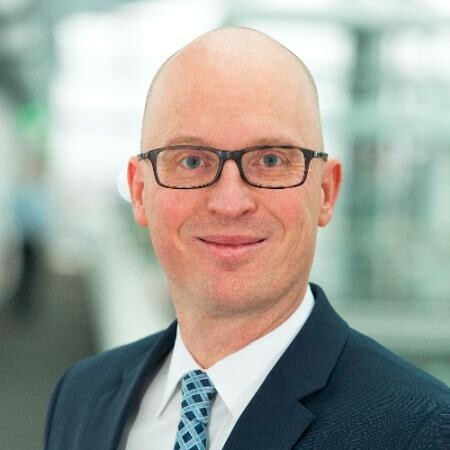 Dr. Uli Brödl, vice-president, medical and regulatory affairs, Boehringer Ingelheim (Canada) Ltd.
Dr. Uli Brödl, vice president, medical and regulatory affairs, Boehringer Ingelheim (Canada) Ltd., said that BI started thinking about the value proposition of blockchain for healthcare in 2017, and approached IBM in mid-2018. It is already using the technology in supply chain management and is looking at other business applications such as data sharing and payment systems. Addeman said that, while this is the first application in clinical trials, he has seen increasing activity around blockchain in healthcare in the past year, much of it involving patient consent for access to their health records. Identity management and claims verification are two other hot topics. He said that while many blockchain use cases require a certain level of adoption before we see benefits, the BI project is exciting because it has the potential to immediately improve patient safety. Results on the pilot projects are expected in the second half of this year.